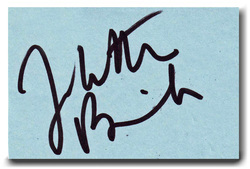 Welcome to The Candleford Chronicle's "Other Period Drama" page - A Scrapbook of Clips, Videos, Photos and Our Collection of Autographs and Memorabelia from more of our favourite Period Dramas. This love story has Kitty meeting young, intelligent, shy and somewhat dull Dr. Walter Fane, whose forte is the study of infectious diseases, and the convenient marriage that she finds herself committed to. It is in this web of intrigue that they head for China, only after Walter discovers Kitty's infidelity with one dashing and witty diplomat Charlie Townsend. 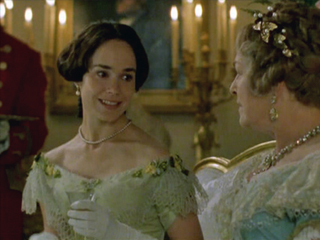 So much as to hide her from herself and to help thwart a cholera outbreak, this is a marriage more than on the rocks. This is a cold, indifferent and loveless partnership in a vast unknown and deadly environment that will test both these flightless lovebirds and with the hardships and tolerances more than any had ever anticipated. A visual delight amid the pain and suffering of a dying people and failing marriage, until a cure is found for both but is it too late? 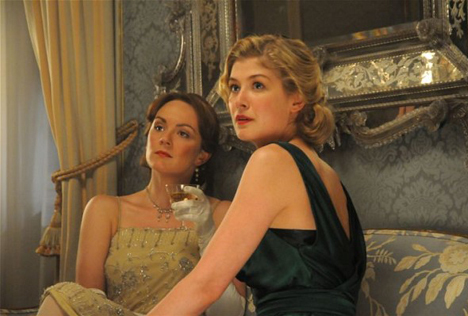 Adaptation of DH Lawrence's novels The Rainbow and Women in Love, focusing on the lives of two sisters as they struggle with love, passion and commitment in the build-up to World War 1 starring Rosamund Pike and Rachael Stirling. A Woman of Substance charts the life of Emma Harte, from kitchen maid at the beginning of the 20th Century, to respected business woman and Grandmother in the 1980's. From humble beginnings Emma Harte starts her business with a small shop, but over the next twenty years she expands her stores and invests in the growing textile industry in Leeds. By the time of World War 2, Emma is the head of a major retail and manufacturing empire, but she has struggled all her life to find love. After an illegitimate daughter and two marriages, she finally meets the love of her life, Paul McGill, but their affair is cut short by a tragic accident, leaving Emma with his daughter. A young woman in her late teens, a reader of novels and with high hopes of romance and passion, marries a widowed country doctor. Although he dotes on her, she is soon bored and discontent. First, she gives her imagination to a law student in town, and next she takes a lover. When he refuses to run away with her, she takes up again with the law clerk. Her spending on dresses and furnishings mounts; these debts and her ill-advised professional counsel to her husband bring his ruin and her tragic suicide. 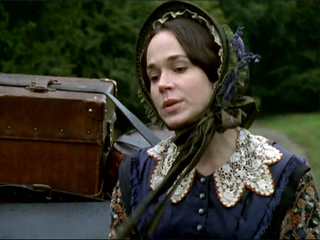 Frances O'Connor is Madame Bovary, Hugh Bonneville plays her husband Charles, Greg Wise and Hugh Dancy star as her lovers Rodolphe and Leon. Chocolat is a Beautiful and Captivating Comedy Drama. Nobody could have imagined the impact that the striking Vianne played by Juliette Binoche would make when she arrived a a tranquil, old fashioned French town. In her very unusual chocolat shop, Vianne begins to create mouth watering confections that almost magically inspire the straitlaced villagers to abandon themselves to temptation and happiness.